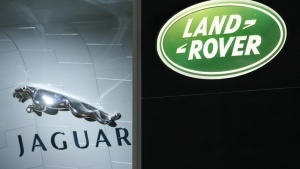 Jaguar Land Rover, the luxury car maker unit of India's Tata Motors, has announced an increase of 7.5 per cent in the salaries of more than 21,000 workers. The company said that the hike will be effective from November 1, 2012. There are indications that the ratification of union members with senior authorities on the matter. Experts say that the deal is one of the best between the management and workers in the country and helped the company in boosting sales during the previous few months. Jaguar Land Rover recorded a 34 per cent increase in its sales to 83,452 units mainly due to strong sales of the new Range Rover Evoque. China accounts for almost a quarter of company's total sales and the region has emerged as its largest market over the recent years. Jaguar Land Rover operates five production units in the UK and employs 21,000 people. The manufacturing facilities of the company are based in Castle Bromwich, Gaydon, Solihull and Whitley in the West Midlands, and Halewood in Merseyside. Tata Group acquired JLR from Ford Motor in March 2008 for about $ 2.3 billion at the peak of the global financial crisis.